Welcome! Mauya. आपका स्वागत हैं। Willkommen! እንኳን ደህና መጣህ ¡Bienvenido! Duluth, Minnesota is one of America's cities on the rise, one of the best adventure hubs in the world, even the Best Town in America. 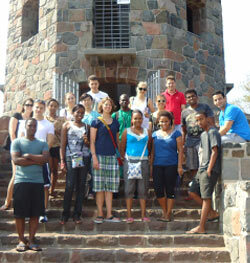 From our perch on the shores of Lake Superior, Duluth is where The College of Saint Scholastica (CSS) calls home. And with an international experience that combines a diverse, rigorous education with a welcoming, inclusive community, you can too. At many colleges it may take up to six years to earn an undergraduate degree, which can cause problems with student visas and cost you a lot more money. At CSS, if you follow our guidelines, you will graduate in four years — guaranteed — or any remaining courses are free. And once you graduate, you'll be able to use your degree. 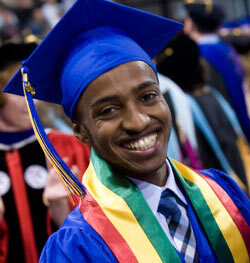 In fact, 98 percent of our graduates are employed or in graduate school within six months of graduation. Columbia University, Harvard University, University of Paris and University of Milan are a few of the many universities that have accepted CSS international students into post-graduate (Doctoral, MA, MBA, MD) programs. Find lifelong friends. Make lifelong memories. With more than 4,200 undergraduate and graduate students from more than 40 countries, we have a vibrant and active student body. 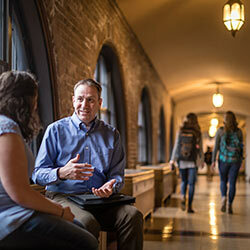 From athletics to student clubs to recreation to ministry to living on campus, the College offers plenty of opportunities for you to connect with other students, explore Duluth and shape your own college experience. 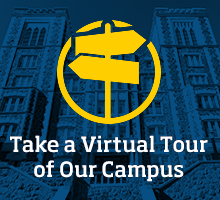 Find a complete listing of our undergraduate and graduate programs. Discover the scholarships and financial aid available to select international undergraduate students. Learn admissions requirements, TOEFL/IELTS minimums, application procedures and more. Get information about our Office of International Programs, which provides extensive advisement and support for international students. "People are so welcoming here. I've met a lot of different people from a lot of different backgrounds and everyone has been very supportive. Sometimes I just feel like I'm at home." "The size of St. Scholastica enables you to concentrate on your studies, but most importantly you'll be able to meet people that will become your second family. It's definitely a wonderful place to grow as an individual."